Usually, when we talked about the cnc cutting process, we will think of cnc laser cutting first. It is a process which is developed faster and commonly used these years. But there is still another cnc cutting process which is water jet cutting. It is also convenient used in our daily life. Both cnc cutting processes are good and can be used in our daily life. But how to choose better cnc cutting process when we receive a project from customer? And in some certain condition, which process is much more economical? Below I will explain the differences of two cutting processes, then it is much clearer to choose. and what industry they will be used, and what kind of material will be used. Creatingway shares these knowledge to our global customers. Which two main CNC cutting process will be used in industry? For thin or medium – thickness sheet metal, especially steel and aluminum, we will use cnc laser cutting. It is a cutting process which is faster and more energy-efficient. In the past, laser cutting was not possible for some thicker material, but today’s higher-wattage machines are approaching the capabilities of plasma cutting, Most of metal fabrication process included the cnc laser cutting to cut the material first, then forming them. This is very important to our current fabrication production. Comparing with cnc laser cutting, we seldom talk about water jet cutting. But it is really an ideal process for ceramics, stone and thicker metals which are more difficult to process by laser cutting or other processes. What’s more, it can also cut extremely hard, reflective and nonconductive materials, making it an efficient and productive fabrication method. What industry will be used for CNC cutting process? In fact, most of industries will be used with CNC cutting process, whatever your projects are from electronic industry, automotive, or medical devices, we always approach best economic product process and good quality to our customers, when our customers have limited budget for your prototype and projects, we always are seeking for our current cnc cutting process. What kind of materials will be used for CNC cutting process? 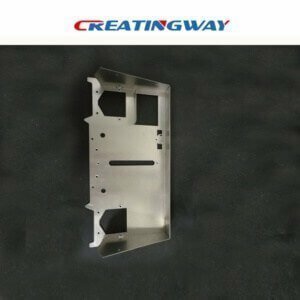 CNC laser cutting usual we have cut it like aluminum sheet, steel sheet, Copper sheet, etc most of metal material, also can cut most of plastic material like PMMA, POM, Nylon etc. Water jet cutting process, compared cnc laser cutting, it is more economic, and make product appearance aesthetic, it can make the product side is smooth etc. Welcome visit our advantage of Water jet process blog for more details. So from above all, we can see the laser cutting is fast and efficient. And the water jet cutting is versatile and powerful. When we get the projects from customer, we could easily judge which process we should use. It is save time for both customer and we.